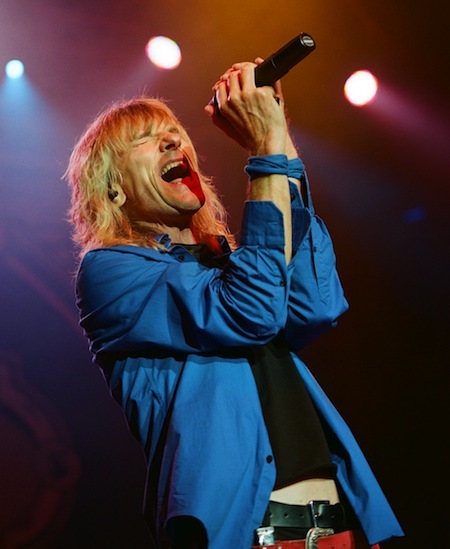 We recently had the opportunity to talk to Kix vocalist Steve Whiteman. 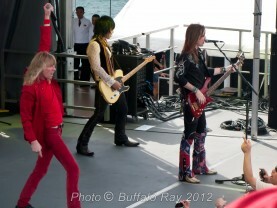 Kix has just released a new live DVD and CD entitled Live in Baltimore. It gives you exactly what Kix is all about, fun, energy and excitement. We talked to Steve about what made him choose his profession, his influences and other tidbits Kix fans will enjoy. Rock Show Critique: So take us back in time…..what made you choose music as a profession? Steve Whiteman: Oh you’re going way back in time aren’t you? I’ve always loved music. I’m old enough to remember the Beatles first night on the Ed Sullivan show. Seeing that and seeing all the women go crazy I’m like yeah I think I want to do that. So I started playing drums when I was eight years old and played drums up until I became the lead vocalist of Kix. I kept pushing my way to the top of the bands in the area and somehow all the guys in Kix kind of found each other. We were the best of our local bands. We thought we’d put a band together to write songs, get a record deal and rule the world. We just forgot to rule the world. RSC: What was the first record you remember buying? RSC: So The Beatles are one of your main influences and who are some of your other influences. SW: Absolutely still to this day I’ve never grown tired of them. I have more Beatles songs on my ipod than any other artist. As funny as it might sound, The Monkees and not because they weren’t a great band but because whoever wrote all the songs were great songs. That was definitely good music. Then I started to get into the harder stuff. I discovered bands who weren’t all over AM radio. I discovered FM radio that’s when I started to get into Grand Funk Railroad, Alice Cooper and Aerosmith. The Beatles kind of took a back seat. But they were always back there. RSC: So how did it feel playing the big places with Whitesnake on that tour in 1990. How was that tour looking back on it now. SW: That whole time when Blow My Fuse was released, it was an amazing time for all of us. Because we had put so much time and effort and hard work into Kix and had released three albums that virtually did nothing outside of the east coast where we played all the time. When that album was finally given the green light by Atlantic and put some money into and it took off. It was the highlight of our careers. Getting out of the clubs, playing arenas opening for Ratt and Britny Fox and then later with Tesla and Great White and then we got the Whitesnake tour. We travelled the world and it was amazing. We were happy. We spent eighteen solid months on the road promoting that album. RSC: During your height of popularity, where were you based out of Baltimore or California at that point? SW: No we never relocated, we never felt that was necessary. We went to Los Angeles to record albums and stay out there and do shows but never physically removed ourselves from the east coast. We were east coast rats and wanted to stay that way. We never left we always called it home. When we got done with our tours we always came back home to Maryland. RSC: Some of the fans may not know but you are in another big band that really fills the clubs in the Baltimore area Funny Money. How did Funny Money come about? SW: Funny Money was pretty much an extension of what Kix was doing. When Kix decided to call it quits we were just at our wits end with the venues we were being offered and the money was getting dismal and we didn’t want to beat a dead horse in Kix and we wanted to go out with our heads held high. I wasn’t done performing yet so I started a band called Funny Money. I wanted to go out with new originals that I have written and play a couple of those Kix staple songs that would attract the Kix fans. I’ve been doing that ever since Kix broke up, Funny Money has kind of taken a back seat to the Kix stuff. RSC: How did you come about hooking up with Dean Kramer? SW: Dean actually I met as he came to me as a vocal student. I was giving vocal training and Dean came to me as a student. Very inquisitive guy Dean is and one day I was writing a song on my little four track when he happened to show up early for a lesson and he said do I need any help with this? I said I need a solo. So Dean laid down this solo and I never forgot that as a so when I was putting the band together (Funny Money) he came to mind as a potential member. RSC: As you said you are getting more requests for Kix dates and you have the new live album that just came out. What does the future hold now for Kix? SW: Hell who knows. The fact that its taken off like it has is a surprise to all of us. When we decided to do some reunion shows back in 2004/05 we had no idea it was gonna turn into this. We were happy doing about 8-10 shows in the Baltimore/DC, New York, Harrisburg area. We thought that was going to be it. When we got calls from agents to expand this thing and book us on these rock festivals we were kind of really surprised by we decided to give it a try and its just blossomed and gotten better each year. So How far can it go? Who knows I don’t know if this DVD and live CD will drum up any new interest or people who forgotten about us will go out and look at it get reinvigorated by what their watching and hearing again. Who knows its a nice feeling to know we’re not dead. RSC: Have you played every M3 Festival so far? SW: Yes in fact we just started headlining it two years ago on a Friday night originally it was one day. We were always like the third from the top and people say they enjoyed us the most. Now that’s because we owned the Baltimore/DC area for thirty years so our fans are loyal. So they decided to let us headline a night and its worked well. RSC: Have you been approached about the next one yet? but I’m pretty sure there is gonna be another one this coming May. RSC: Is your goal to try and hook on a tour and open for another headliner? SW: You know what…not really. We are really enjoying that fact that we don’t have to play five nights a week to support the cost of a tour bus and hotel rooms. We get these gigs and we fly out the night before the show, we do the show and we fly home the next day. Its economical, its faster, its cheaper and it makes us more money. That’s the path that we are on right now and I think we’re gonna stay with it. In the event that say something will blow up with this live DVD/CD and a tour would make sense or we are planning on releasing a new studio album. If for some reason something would get a lot of attention, an interest on radio and there was a reason for us to tour but at this point we’re pretty happy doing things the way that they are. Special thanks to Dustin Hardman for setting us up with this interview.